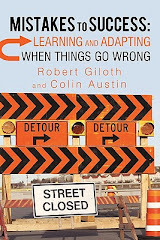 Bob Giloth's Blog: Adaptability or Flexibility? "As we look back at a decade of grant-making in the Linked Learning Field, we might be tempted to view it as a logical progression...But 10 years ago we did not lay out such a plan. Had we done so, it would have been a waste of time--and it would have been counterproductive." Anne B. Stanton and Alison Powell, Adventures in Adaptation, Stanford Social Innovation Review, Spring, 2015. The Linked Learning initiative is an impressive story of focused, long-term philanthropic investing by the James Irvine Foundation. I'm not sure it's really about adaptability, but my concerns may just be semantic. In the article, at least, no mention is made of mistakes that required midcourse corrections or confronting unexpected changes in the institutional and policy environments -- two typical reasons for adaptability in approach. For me, the story is about sticking with a population-level goal (all young adults graduate college in California), a necessary focus on scale, and a commitment to flexibility in foundation tactics and approach. They employed grant-making tactics that built on accumulating evidence and practice -- pilots, evaluation, intermediaries, local adoption, policy advocacy, organized stakeholders and strategic grant-making. Nothing unusual here. Sticking with a population-level goal, however, is unusual -- and they were path-breaking. Now it is a core element of collective impact approaches. In the end, laying out a rigid blueprint to scale makes little sense -- especially when you know where you wanted to go.